It seems like every medical professional, nutritionist and sports medicine expert has weighed in on the topic of drinking water, but not many of them seem to agree. Even with the standard recommendation of "8 glasses a day" few people take the time to measure their water consumption; and even if they did, how do we know eight glasses is enough? According to a study by the MayoClinic, the amount of water we need can vary greatly from one individual to the next. The amount of water you drink will depend on several different factors, such as your age, weight, activity level and the climate where you live. Some people take prescription medications that make them extremely thirsty, others spend a lot of time working outdoors in humid weather. Is drinking water really important? We've heard a lot of major healthcare authorities offer opinions on water consumption, but few are more reputable than the Mayo Clinic's "nutrition and eating" pages, which include a section devoted entirely to water. Even the Mayo Clinic staff admits there is no single formula for determining a person's ideal fluid intake. How much water or fluid does the average, healthy adult really need? Assuming you are living in a temperate climate, The Institute of Medicine says that men need about 3 liters and women need about 2.2 liters. "...men need about 3 liters and women need about 2.2 liters"
While it might be easier to stick with the well-known formula and drink eight glasses of water each day, it's important to remember that all fluids count toward the daily total. Not surprisingly, most health professionals would agree that water is better than sugary soft drinks and caffeinated beverages. 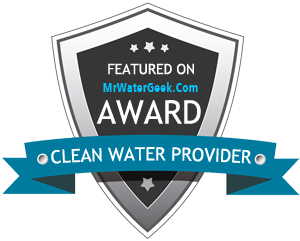 Does quality of water matter? There are a number of reasons why hiring a water delivery company in Colorado Springs can make the difference between healthy hydration and dehydration. Poor water quality not only exposes your body to minerals, contaminants and flouride but can also taste terrible. Having access to great quality water from a reverse osmosis system in your home or bottled water delivery can encourage you to drink more clean water. Considering that 60 percent of your body weight is made up of water, it is not surprising that water performs some very important bodily functions in the body. In fact, every system in the body is dependent on water. It carries nutrients into cells, flushes toxins from vital organs and provides moisture for the ears, eyes, nose and throat. The body loses water in many different ways – through perspiration, breath and digestive functions – and this water must continually be replenished. When the body is dehydrated it can make you feel drained and tired. Keeping bottled water handy helps stave off your chances of becoming dehydrated. Is water always the best drink? If you are engaging in long and intense bouts of exercise, it might be best to supplement your water intake with a sports drink that contains sodium. Drinks like Gatorade and Powerade contain electrolytes that help replace lost sodium during exercise, but it is also important to continue replacing fluids after an exercise session is finished. Runners, athletes and other active people may need to modify their total fluid intake, but there are other factors that influence the need for liquids. For example, if you live in a humid climate or take a lot of daily medications, it's always a good idea to drink more water. Spring water contains valuable minerals that improve taste and aid in hydration. Pregnant women and nursing mothers should dramatically increase their fluid intake to meet the needs of the baby. Anything that causes fluid loss will require that you drink extra water to compensate. How much additional fluid you need depends on how much you sweat during physical activity, as well as the duration and type of exercise. Beverages such as milk and juice are mostly water, and they also contain many valuable nutrients. However, if you are counting alcoholic and caffeinated beverages in your fluid intake remember that they can also be diuretics, meaning they can cause frequent urination. Water is usually the best drink for hydrating considering it's inexpensive, calorie-free and readily available. Drink more bottled or filtered water! Illnesses and other health conditions may require you to drink more water as well. Some stomach disorders, viruses, or bladder infections can require you to increase fluid intake, while many heart, kidney and adrenal conditions may require you to limit your fluid intake. Most people don't give their fluid intake much thought, but if you're wondering how much you really need, follow these tips from the Mayo Clinic. If you are drinking enough that you rarely feel thirsty and you produce about 1.5 liters of colorless or pale yellow urine each day, it's likely you are getting enough fluids. To prevent dehydration and ensure your body gets the fluid it needs, switch to bottled or filtered water as your "beverage of choice."